Brilliantly stretching literary conventions, Ursula Hegi, author of the best-selling Stones from the River, creates a funny and original novel within a novel to explore the doubts, decisions, and "might-have-beens" that mark not only the writing process but life itself. As her "author" and her fictional heroine deal with their intrusions into each other's lives, Hegi reveals much about the choices women make, the ambiguities they face, and the often surprising ways reality and fiction merge. 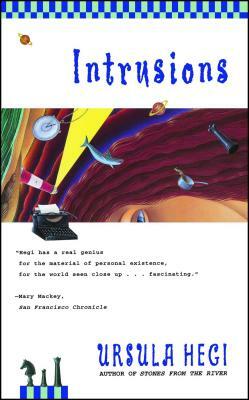 Mary Mackey San Francisco Chronicle Hegi has a real genius for the material of personal existence, for the world seen close up...fascinating. Robert Sorensen Minneapolis Tribune A delightful and perceptive novel about the creative process and the nature of reality. Robin Morgan Ursula Hegi has given us a lively first novel about the layered realities of a woman's life. It's funny, and sad, and an old-fashioned "good read." Victoria Kohl Los Angeles Herald Examiner Hegi's sharp perceptions, humor and talent...have created a unique and satisfying read about the burden of being responsible for ourselves.